Voluntary organisations in Derbyshire face "potentially catastrophic" cuts after the NHS announced plans to cease all of its £1.1m grants to charities. About 40 not-for-profit groups would be affected by the proposal, which NHS Derbyshire Clinical Commissioning Groups has put forward as part of a bid to plug an £80m gap between funding received for services and the cost of providing them. Infrastructure organisations would be hit particularly hard, with South Derbyshire Council for Voluntary Service and Community Action Derby set to lose £170,000 and £85,000 respectively. Kim Harper, chief officer of Community Action Derby, which has 13 part-time staff and 15 volunteers, said she expected some funding cuts but was shocked to be told last week, on the 70th anniversary of the founding of the NHS, that it could lose its entire grant. Organisations have just three weeks to provide feedback before a final decision is made next month. Unless the situation changes, funding will end in November. Harper said: "We do intend to challenge the process because we do not believe the decision follows public law principles for consultation or provides appropriate timelines for us to properly engage our service users to ascertain the actual impact." The sum is about a third of Community Action Derby’s total income. Staff and trustees are due to meet in the next two weeks to discuss the cuts, which Harper described as "potentially catastrophic" to many groups. "Closure is an option, but it would mean there is no infrastructure organisation in Derby," she said. "We have been long-term partners with the CCG and expected an open and mature dialogue. I genuinely understand the difficult circumstances it is in. It just seems to me that infrastructure is a soft target. "Disinvesting in a service will cost more down the road. It makes no sense." 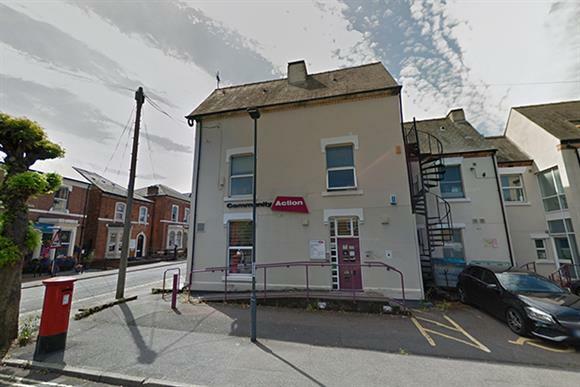 South Derbyshire CVS could also lose about a third of its funding. Nobody was available for comment, but a blog on the organisation's website described the cuts as "seriously bad news". It added: "We are only one of a number of organisations across Derbyshire who will have received similar letters today, and the impact will be disastrous." A spokesman for NHS Derbyshire Clinical Commissioning Groups, which consists of four NHS commissioning bodies, said it was unable to continue funding discretionary grants, including those awarded to the voluntary sector, because of "the significant financial challenge we’re facing". He said: "A formal engagement process began last week, following on from the previous conversations we’ve had with voluntary organisations. We’re now asking them for detailed feedback about the potential impact of discontinuing funding for these services, and on their volunteers, staff and service users, ahead of any final decision being made in August. "We appreciate this is a very difficult and concerning time for the groups and we are going to continue to work closely with them to identify and, where possible, mitigate any areas of risk identified. "Subject to a decision being taken in August, no scheme would receive a notice period of less than three months."